And while not all the others non-English languages, romantic if you prefer ... choose the Sun, for God ... all them adopt a kind of Lord-day meaning. I want today to continue to walk in my explanation ... looking for Words that can connect Lord Francis Bacon, the author of the Shakespearian Plays ... with him past Lives. Let me post to you the concept that ... if someone 'Ascend' ... don't return here. Please also consider that the Balance ... or Service to the Light or to the Darkness ... is a question of Consciousness ... Low (Dark) ... or High (Light). Let me say ... that there are Lord of Darkness of Great Power ... but compared with the Legions of Light ... they are ... Just like a Bad Students ... before a Great Teacher. The Bad Student suppose (he or she) is smarter than the Professor ... but the Professor smile. By the way ... in my days like Professor ... I remember perfectly ... two classes of students ... One ... let me call them, Class A ... close to Perfection in respect, loyalty and love to understand ... and surrender to learn. Class B, was of a so Great Offensive behavior ... that one day ... I was unable to say a Word ... then, I get my shoes to the School door ... and close the door. I was a Professor of Chemistry in those days. My salary was about 2 Euro per hour ... and I need to stand 5 am in the morning ... Up and Down you know. This is my birth-city, Caracas, in the Spring of 2007. Remember that Origen of Alexandria ... (who was Mark L. Prophet, and Lancelot at Camelot) draw a very good panorama ... where we ... move from Darkness to Light ... and High and High ... until we stand before God ... itself or very close. Always is matter of ... Choice. If you choose Light or Darkness. 'Another like us ... let us ... protect and help him'. If you awake ... there are a Good Chance of ... Return and dwell between the Immortals. Some persons suppose that ... Lord Jesus arrive ONLY 2,000 years ago ... but this is FALSE. He was the Son of ISIS and Osiris. 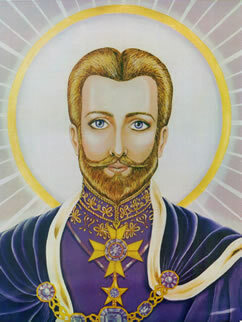 And ISIS was Mother Mary and OSIRIS was Ascended Master, Saint Germain. Like you know ... Osiris was recognized like a God ... in Egypt. But he was a Man, a Holy Man, if you prefer. At the end of that 5200 years, there was a massive earthquake that destroyed most of the remaining temples of Lemuria and half of the land mass of Atlantis. Those members of the Lemurian race who remained on Earth chose to recolonize as a subterranean culture under Mt. Shasta. A few of the Lemurians integrated into Native American, Hawaiian, and Tibetan tribes, later becoming Maya, Inca, and Buddhists. These former Lemurians served as spiritual leaders and teachers in those cultures. The Atlanteans who remained were still numerous enough to continue their culture. As a group con­sciousness, they asked for the being whose Earth name was Thoth to incarnate among their people and reestablish the ancient teachings that had been lost to them in the quakes. Thoth, who was a Ra mem­ber of the Pleiadian Archangelic Tribes, responded to their requests by precipitating a physical body. He became the spiritual leader of Atlantis. Therefore ... Thoth was someone who ... People ask for ... and he ... Materialize his Ka Body ... and become Thoth. After this ... The Earth receive a visit ... and then begin a War. The War force the Hathors to depart ... and Queen Hathor depart from us, after 14,000 years of presence. Now the Magic Question: What relation have Shakespeare with Egypt? Thoth ... first in Atlantis ... then ... in Egypt ... who found the dynasty of the Pharaoh, teaching them the Sacred Science. Osiris ... the companion of Isis and Father of Horus. You can read ... BiLingual: What is philosopher’s stone/Cos'è la Pietra Filosofale ? ... by/parla Thot! The Famous History of the Life of Henry the Eighth. Like a Word ... means nothing ... It neither reject nothing. But ... Of Course you need more physical and tangible evidence. Let it be made clear that we do not frown upon drama; for your own Lord Maha Chohan, in his epic releases while embodied as Homer, did bring about cultural understanding which flows forth to the present age. Your beloved Saint Germain, in his magnificent Shakespearean releases and his many other writings, did bring about the renaissance of virtue and culture to the world.